This month, TechNation takes a closer look at endoscopes thanks to industry professionals who shared their expert insights in a question-and-answer format. Participants include a duo from Mobile Instrument Service and Repair in Educator Melissa Kubach and Flexible Endoscope Repair Division Product Manager Brianne Flesher, CFER. Also participating are Healthmark Industries Senior Manager of Clinical Education, Mary Ann Drosnock, MS, FAPIC, CIC, CFER, RM (NRCM); Capital Medical Resources Director of Business Development, Rob Purtell and MultiMedical Systems Director of Surgical Services, Chyrill Sandrini. Q: What are the latest advances in endoscopes in the past year? Drosnock: My answers are framed around the reprocessing of these devices. Therefore, I feel that new sterilization systems (Sterizone VP4 System from TSO3) that are FDA-cleared to sterilize GI scopes are very exciting. As sterilization provides a higher safety margin associated with reprocessing, having FDA-cleared methods that are compatible with these scopes represent a huge advancement in patient care. Single-use disposable endoscopes and duodenoscopes with a disposable cap for the tip are two more of the latest advances in endoscope technology as they can significantly decrease the risk of infection related to improper reprocessing. Kubach and Flesher: Endomicroscopy, chromoendoscopy and targeted use of white and blue light technologies have improved diagnosis, screening and treatment of gastrointestinal disorders. The ability to utilize enhanced imaging with different wavelengths capable of penetrating and visualizing tissue beyond the mucosa has allowed a number of diseases previously requiring surgical treatment to be addressed endoscopically thus greatly impacting patient outcomes. Purtell: Image enhancements, which allow for greater visibility of blood vessels and mucosal structures, are becoming more prevalent. This allows for increased opportunity for detection, as well as more effective diagnostic support. The way the light is filtered through the image processor leads to these advanced visualization technologies. The scopes themselves have features such as zoom, adjustable insertion tubes and anatomical indicators which all contribute to more effective procedures and ease of use. Sandrini: Advancements in endoscopes are exciting including better resolution in Ultra High Definition in 4k. 4D technology and LED light sources are a few of the advancements we are seeing in the industry providing better diagnostic evaluations. New advancements in ultrasound endoscopes are exciting as well as new innovations in the pipeline such as the self-propelled endoscope. Q: Where and how should endoscopes be stored when not in use? Drosnock: According to AORN guidelines, endoscopes should be stored in cabinet, preferably a drying cabinet, with HEPA-filtered air hooked up directly to the channels to allow for drying internally. If an active drying cabinet is not available, then the storage cabinet should at least circulate HEPA-filtered air around the scopes. If an active drying cabinet is not used, then the scope must be prepared for storage by completely drying it, internally and externally, prior to being placed into the cabinet. Drying is accomplished by wiping the outside with a non-linting cloth and flushing the internal channels with instrument quality forced air for 10 minutes. Kubach and Flesher: While there are many product variations and techniques for endoscope storage the end goal has always remained singular … protect the endoscope from damage, contamination and either facilitate drying or perpetuate the dried device with high-quality, circulated or positive pressure air. Storage cabinets should be located in a secure clean area (not a procedural area). The endoscope should be completely dried internally and externally prior to hanging with high-quality air if the cabinet does not provide or has not been retrofitted with a manufacturer approved mechanical drying device to facilitate channel drying assistance. Purtell: Ideal storage for flexible endoscopes should be in ventilated cabinets, that assist in the drying process. The scopes will suspend from a rack vertically, allowing space for insertion tubes and light tubes to hang freely, while a filtered air exchange dries the scopes. Proper spacing will keep scopes from swinging into each other and preventing ancillary damage. If budget is a concern, there are scope cabinets or other solutions that do not have the ventilation option, but still do a great job of protecting scopes. Regardless, it’s important for scopes to hang vertically, while protecting the tubes, and distal ends, from becoming damaged. Sandrini: Endoscopes should be stored in a manner that will protect them from contamination. Hang the endoscope in a vertical position to facilitate drying in an approved storage cabinet, ventilated and dust free. Remove all caps, valves and other detachable components per manufacturer’s instructions. Never cover the distal tip of the endoscope when stored. Q: What steps should be taken prior to repair/service of an endoscope? Drosnock: Endoscopes should be inspected for residual debris and damage after manual cleaning. If debris is found, the endoscope should be fully manually cleaned again. If damage is noted, then the endoscope should be flagged as being out-of-service and further processed according to their repair company’s instructions. Most repair companies require full manual cleaning and either disinfection or sterilization prior to being shipped to the repair facility. A few service organizations will provide instructions on how to ship a scope that has not been fully reprocessed. That organization would then be responsible for reprocessing the scope upon receipt for repair. This is the exception not the norm and the facility should expect to incur an additional cost for that. Either way, refer to the instructions from your repair company on how they require the device to be prepared through reprocessing prior to shipment. Kubach and Flesher: There are many steps that can be taken to render an endoscope free of bioburden when sending it to service provider. These steps include following all guidelines as it pertains to safe handling of flexible endoscopes which can and should include biological indication testing after cleaning procedures have taken place. Most importantly, if for any reason an endoscope was not fully decontaminated prior to sending to a service provider, the endoscope must be properly packaged and labeled that the endoscope was not fully disinfected. When endoscopes are sent to a service provider without any indication of cleaning procedures that have taken place and an endoscope is found to be contaminated, the safety of personnel has been compromised. Purtell: Prior to facilitating service, it’s important that the scope has been fully cleaned and disinfected/sterilized. Clinical engineers can establish a protocol with the processing staff, where there is a “sign off” on damaged scopes, indicating they have been fully processed. There are also products that can be used to test the surfaces of a scope with a swab, indicating the level of organic compound on the surface. Parameters can be established and logged, in order to provide traceability. Sandrini: HTM/BMET personnel should work with the central/sterile processing manager to learn how they are managing their endoscope reprocessing and test strip processes. Always use gloves when handling any endoscope or surgical device. A little education and teamwork can help insure patient and staff safety. Suggestion: Before handling a scope have a form that is signed stating the scope has undergone the HLD or sterilization process according OEM reprocessing guidelines. Q: Can you explain the importance of holding an in-service or clinician training on how to properly handle endoscopes to prevent damage? Drosnock: An in-service training on proper care and handling of endoscopes and damage identification is an important step in a repair reduction program for flexible endoscopes. Since these are fragile devices subject to significant use and reprocessing, damage can occur at any step in the process. Therefore, training on how to properly care for and reprocess these devices is imperative. As damage leads to costly repairs and potentially higher contract costs, instructing staff how to prevent it can help reduce overall costs. Identification of damage at an early stage can also be an important step and one that should be taught to staff. Catching slight damage early can help reduce expense and extensive repairs later. Additionally, re-use of a scope that has damage that hasn’t been properly identified is an infection control risk. Kubach and Flesher: Clinicians are trained on reprocessing scopes, but many basic behaviors associated with transport and cleaning need regular reinforcement. In-service programs for safe handling of flexible endoscopes are invaluable. It is a well-known fact that 70 to 80 percent of damage incurred to flexible endoscopes is preventable. Flexible endoscopes are very delicate devices which can suffer extreme damage with even minor mishandling. These devices are extremely expensive to rebuild so the benefits of holding this training have immediate financial benefits. Not only does in-servicing hold financial benefits from a repair cost perspective but the benefits also extend to the safety of personnel that have hands on these devices. Ensuring the proper handling and reprocessing techniques are employed at all levels can reduce cross contamination in patients and personnel. Purtell: With the advancement of endoscope technology, and staff turnover in health care facilities, it’s important to stay current on equipment training. 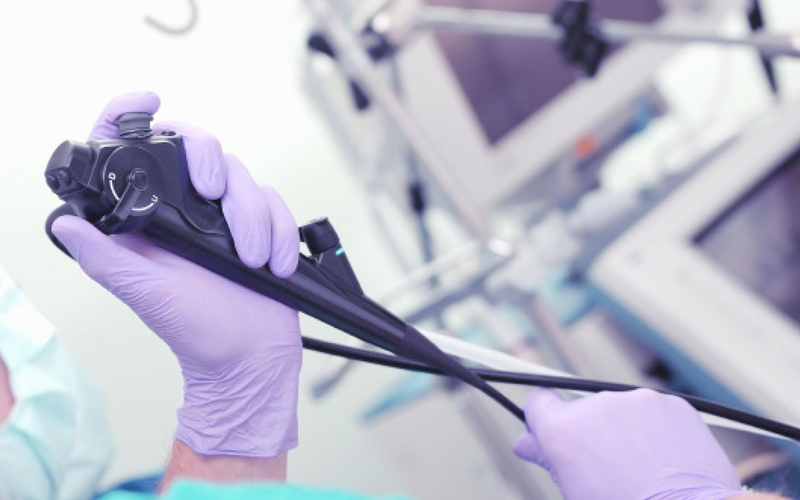 Endoscopes require careful handling, in order to contain maintenance costs, so providing in-services becomes an essential part of scope ownership. Whether it’s following the manufacturers IFU for cleaning and disinfecting, or storing properly, there are steps that can be taken to protect your investment. Periodic in-services are a great way to remind the staff of their role in preventing care and handling damages. Sandrini: Education is understanding. At MMS we have watched how endoscopes, as well as other surgical equipment has moved from the hands of central sterile to the biomedical engineering/HTM for repair responsibilities. Unfortunately, the new responsibility came with little or no education. In-service training will help the HTM staff understand how to handle and properly care for this equipment. It will reduce repair cost and downtime. They can also learn troubleshooting techniques and learn to identify preventable issues, so they can request in-service training for hospital staff when warranted. Rarely, the HTM staff will be the cause of the damage but they can be the warriors who identify preventable root causes. Q: How do you determine total cost of ownership and return on investment when shopping for endoscopes? Drosnock: This is not my area of expertise. However, a facility should account for not only the traditional repair costs in the equation, but when transitioning to performing enhanced visual inspection using lighted magnification as recommended by the standards and guidelines and by potentially instituting use of a borescope for internal inspection of endoscopes, there could be an initial increase in the number of repairs because damage may be identified earlier on. After an initial adjustment period, this should stabilize. Instituting these inspection steps is an infection control risk mitigation strategy because damage may be detected earlier on potentially reducing the risk of using a scope that is not in a good condition. Kubach and Flesher: In making a scope acquisition, be sure to understand the specific features and functions required clinically to avoid paying for things you do not need. Certified pre-owned equipment can help reduce acquisition costs by half. Consider more than the acquisition cost of the scope such as resources needed for proper cleaning, reprocessing, transport and storage equipment. In addition to a budget for repairs, include a provision for routine preventative maintenance inspections. In looking at ROI, it is important to consider clinical demand for equipment so the inventory can be properly balanced with caseload. Insufficient inventory often leads to rushed reprocessing and creates wear-and-tear on your equipment. Be especially attuned to repair-replacement programs from OEMs to determine if you really need to pay a premium for the service. A good repair program can often produce enough savings to help expand inventory. Purtell: Endoscopes are a significant capital investment, so it’s important for your inventory to match your caseload. Purchasing too many scopes can be wasteful, and too few scopes could limit your ability to provide services to patients. Servicing your endoscopes, also factors into total cost of ownership. If your facility historically takes good care of equipment, then transactional service may be the best option. If your scopes endure heavy use, and become damaged more frequently, then a “no fault” service contract may be more effective. This helps contain service costs and allows for more predictability. Sandrini: Cost of ownership including repair cost or service contracts can be reduced with preventive maintenance programs and trackable repair utilization. Less downtime and fewer repairs increase the ROI of the capital purchase. Educating all staff from the biomedical engineering/HTM team, reprocessing staff and the end users. Identifying preventable repairs will keep cost to a minimum. Recognize small problems before they become high-cost repairs will increase the departments ROI. Q: What else do you think TechNation readers need to know about purchasing and servicing endoscopes? Drosnock: Keep the validated reprocessing methods in mind when purchasing scopes. Look at the IFU and see what methods the device is compatible with and what is currently available at your facility. Will new AERs (automated endoscope reprocessors) or sterilizers be required to properly reprocess that endoscope? If so, that cost would need to be factored into the equation. Also, if/when transitioning from high-level disinfection to sterilization methods, there may be an initial increase in repairs as sterilization methods are generally harsher and can potentially damage endoscopes sooner than disinfectants. With a trend to move scopes to sterilization and often a longer turn around time for these processes, this could be a factor in the budget (more scopes needed) and even scheduling of procedures with a longer turn around time for the scopes during reprocessing. Kubach and Flesher: The key to providing excellent service to endoscope users is to understand their use of the equipment as it relates to patient care. Even though you may not directly repair the equipment yourself, it pays to understand how it clinically functions, related componentry and terminology. Help clinicians keep good records of service events to better assist with planning inventory levels and confirm you are on the repair program that best suits your needs. When you see behaviors that might damage delicate equipment, politely intervene and help people understand the connection between the endoscope damage and incurred cost resulting from their actions. Purtell: Health care facilities can be very educated on their equipment purchases, as there is a lot of good information available in the marketplace. Manufacturers can often provide clinical support documents, indicating efficacy of specific technology features. Peer feedback is also valuable in evaluating equipment for purchase. Sandrini: If you have any input, steer away from repair/exchange programs. Why would you purchase a new endoscope and trade it out for a used endoscope? Do you know the history of the exchanged scope? What are the true costs associated with the repair/exchange? This program is based on a flat exchange rate at thousands of dollars per exchange. Ask yourself – “What if it was a simple repair that could have been performed in one day costing $500?” How can this affect your bottom line?